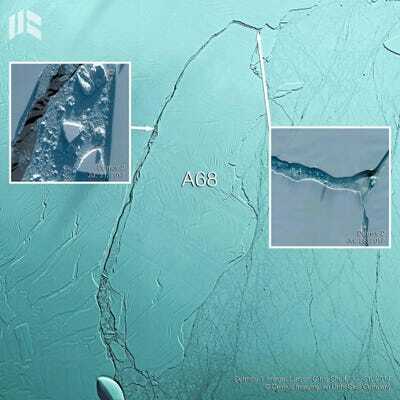 Deimos Imaging, an UrtheCast CompanyA zoomed-in view of Antarctica’s Larsen C ice shelf, and iceberg A-68, on July 28, 2017. 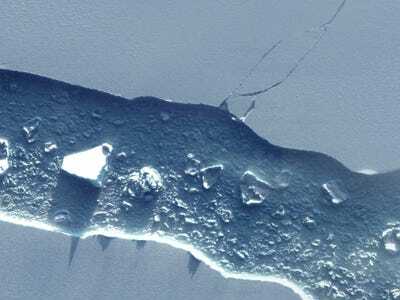 In early July, a rift in Antarctica’s Larsen C ice shelf caused the third-largest iceberg ever recorded to break off into the Southern Ocean. The block of ice, dubbed iceberg A-68, may hang around for years in the open sea and is awesome in scale. It’s roughly the area of Delaware, has the mass of 5.6 Mount Everests, and is voluminous enough to fill Lake Erie more than twice. 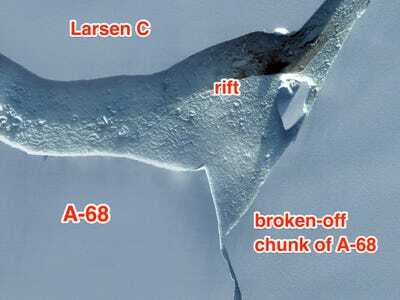 However, because it’s the middle of winter in Antarctica, scientists have struggled to get good images of the iceberg. 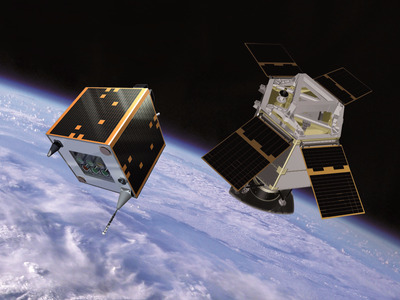 So far, they have relied on polar satellites like Sentinel-1, which uses radar to see through thick cloud cover. A few days of clear weather in late July, however, gave Deimos-1 and Deimos-2 — a pair of satellites that operate as a tag-team — a clear, visible-light view of the scene on the eastern Antarctic Peninsula. Here are the new photos, released by Deimos Imaging and Urthecast in an August 3 blog post. 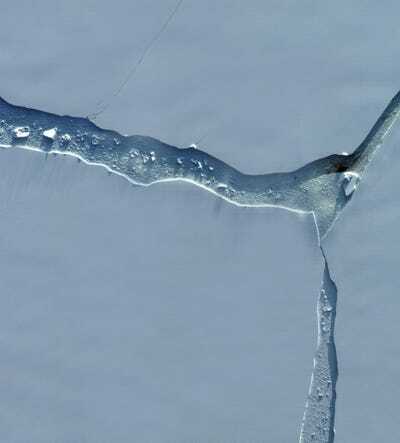 In late July, Deimos-1 captured this image of the Antarctic Peninsula and the eastern edge of its Larsen C ice shelf -- where iceberg A-68 (center) broke off. 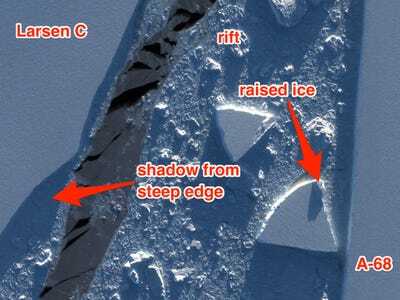 'Thanks to its wide swath and high revisit time, Deimos-1 spotted where the main developments were going on in the Larsen C Ice Shelf and its surroundings,' Ana Isabel Martinez, a writer for Deimos Imaging, wrote in a blog post. 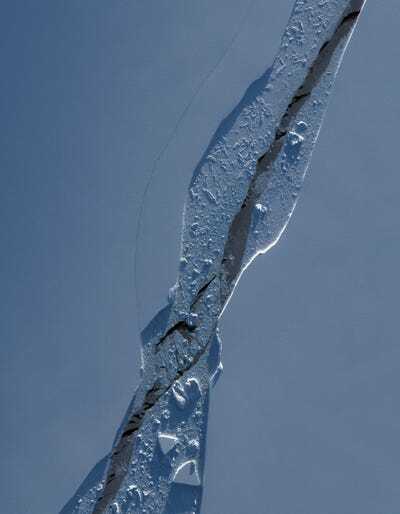 Days later, Deimos-2 swung by and took two zoomed-in, very-high-resolution images of the iceberg and the rift that spawned it. This view shows a mid-eastern section of the rift. 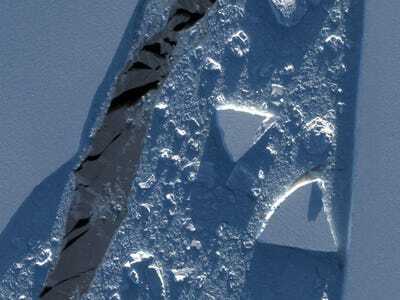 The sun -- low on the horizon during Antarctic winter -- casts long shadows that reveal the cliff-like edges of the rift and its iceberg chunks. 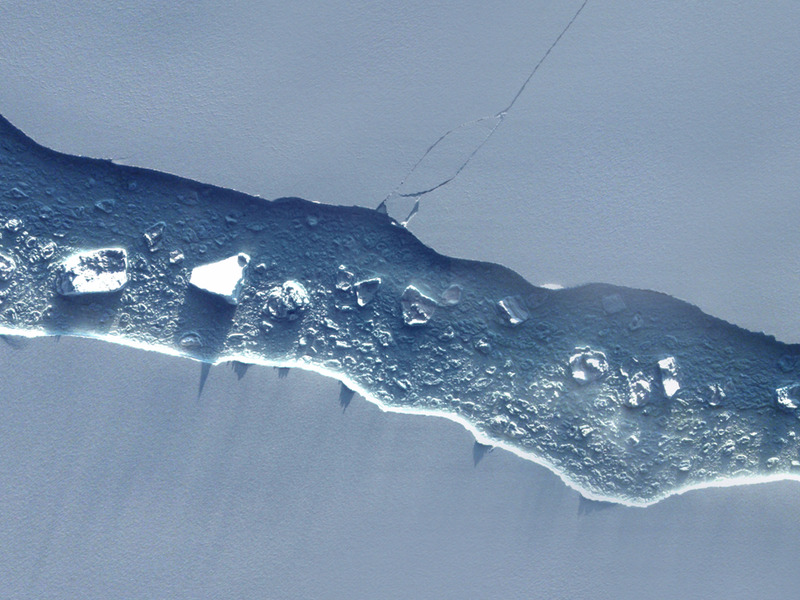 Similar details pop out in a scene of the iceberg's northernmost flank. 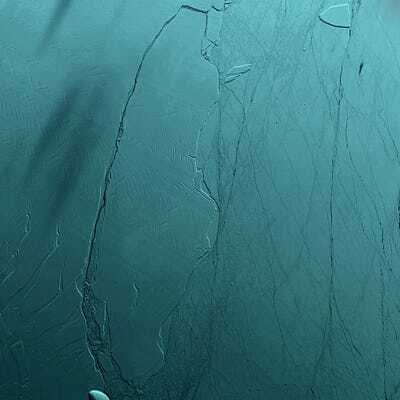 On the top right, new cracks in the Larsen C ice shelf are visible. 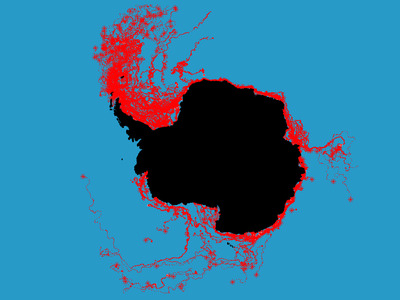 The image above shows the paths other icebergs have taken after breaking off of Antarctica.